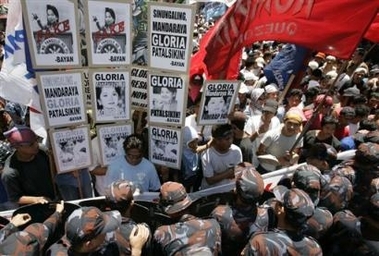 Around 3,000 Philippine protesters urged President Gloria Arroyo to resign today. Police used water cannons on Friday to break up a protest by about 3,000 people calling for President Gloria Macapagal Arroyo to resign over corruption allegations against her, police and witnesses said. The army is on red alert in Manila for any trouble over the weekend, when the country marks its independence from Spain, as rumours swirl that the political opposition is planning a major rally to call for Arroyo to step down. Protest leaders said 30 demonstrators were injured on Friday after police used the water cannons to stop the crowd marching on the presidential palace. Police said they had no knowledge of civilian casualties, but said five police officers were injured by stone-throwing protesters. 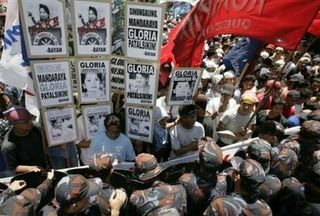 Police broke up anti-government protests in Manila today. Opposition-fed scandals have so far lacked the spark for big anti-government protests. 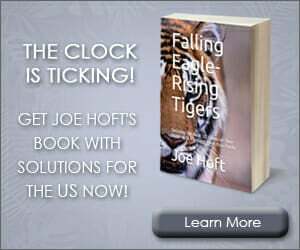 The United States expressed its “unequivocal” support for embattled President Gloria Arroyo and said there appeared to be no real danger of a coup despite persistent rumors. 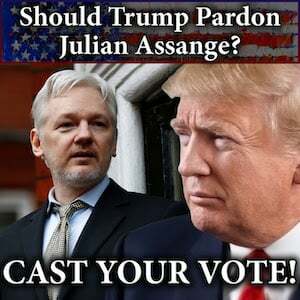 The US government however would oppose “any extra-constitutional or extra-legal efforts to any way undermine” Arroyo’s government, US embassy charge d’affaires Joseph Mussomeli said. 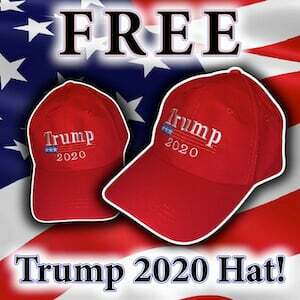 Arroyo has placed the entire military and police forces on full alert as rumors swirl of a plot against her fueled by opposition allegations she rigged last year’s election. Local media aired what the government described as an illegally tapped and doctored telephone conversation that purported to show Arroyo urging an independent election commissioner to ensure she won the vote. Alan Paguia, a former lawyer for former president Joseph Estrada who was deposed in a military-backed popular revolt headed by Arroyo in 2001, has admitted editing and circulating the tape. 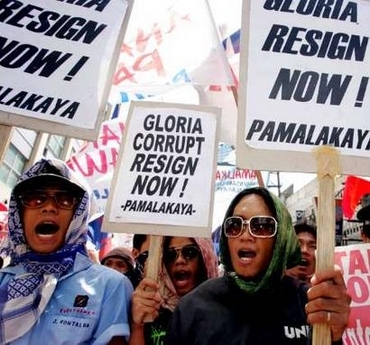 The Philippine military said Friday that it would investigate its intelligence arm amid rumors that it was behind the wiretapping of President Gloria Macapagal-Arroyo’s calls concerning the May 2004 election. The Philippine government early released two compact discs of wiretapped cellphone conversations allegedly between President Arroyo and an election official when she sought assurances of a convincing win in the polls. 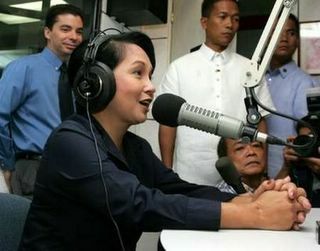 President Arroyo addressed charges against her on a radio broadcast Thursday in Manilla. The President is also facing allegations that her son and brother-in-law, both House representatives, received kickbacks from illegal gambling operators. Both men have denied the charges. The President said she was given a clear electoral mandate to govern the nation for a full six-year term and would resist moves to unseat her from office.